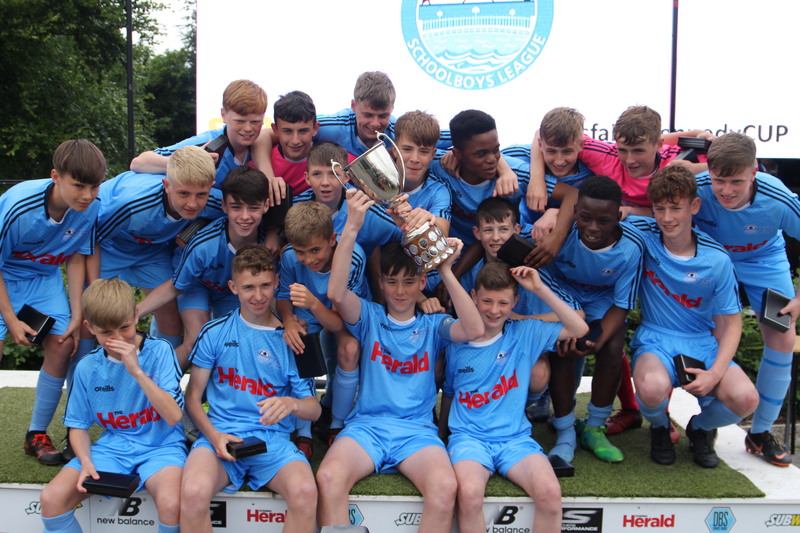 A hat-trick for Ben Quinn of Cherry Orchard helped the DDSL claim their 32nd SFAI New Balance Kennedy Cup on Friday afternoon when they beat a strong KDUL (Kildare) team 4-2 in University of Limerick. The Kildare youngsters took the lead shortly after the start thanks to Aleksander Vassenin, but goals from Quinn and Evan Ferguson saw the DDSL edge ahead in the first half. At the break it was 2-1 to the Dubliners, and Quinn added a third midway through the second period before Owens reignited the KDUL’s chances with his fifth goal of the competition. Quinn, who had been a threat all afternoon, then netted his third to make it 4-2 and that is how it stayed until the end. We will have full highlights of the game and reaction from the winning team later tonight - tune in on the SFAI Facebook page. That brings to a close the 2018 SFAI New Balance Kennedy Cup competition and we would like to congratulate all those who took part and who helped to make it another huge success. To the teams who lifted silverware on Friday, notably the DDSL, Cork, Kilkenny, NDSL and Galway, well done on your achievements. We look forward to next year when another 640 players will compete and enjoy their time at the SFAI New Balance Kennedy Cup.